Splash Fashions, Middle East’s largest fast-fashion retailer is looking to consolidate its digital presence in India. As a part of growing its omnichannel offerings, Splash Fashions has partnered with Ace Turtle, Asia’s leading omnichannel platform company. Ace Turtle’s omnichannel technology will enable Splash Fashions to power a unified brand experience for its customers across all channels. With customers looking more and more to engage with the brands across all channels, an effective omnichannel strategy is key to success for brands. Ace Turtle’s omnichannel technology platform will help Splash Fashions to build inventory visibility across channels, hence ensuring higher sales through a seamless offline online integration. Speaking on their partnership with Ace Turtle, Abhinav Zutshi, COO, Splash India said “As omnichannel retailing is continuing to mature and the lines between online and physical store blurring, we have realized the importance of having a consistent presence across various sales channels. As a part of our larger focus on building our omnichannel strategy, we have partnered with Ace Turtle, who have proven their leadership in omnichannel enablement for enterprise brands. We are looking forward to this partnership and are confident that Ace Turtle’s expertise as a technology platform will help us in accelerating our growth across various sales channels”. The Indian retail market is expected to hit Rs 1,02,50,500 crore (US $1,576 billion) by 2026, growing at a CAGR of 10 per cent. A big chunk of this number belongs to the fashion segment. 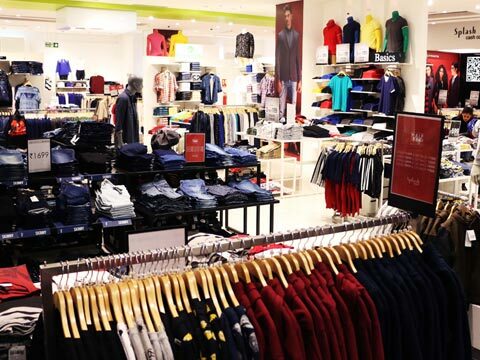 Splash Fashions started off in the Indian market, eight years ago with its first store in Hyderabad. The retailer currently have 19 stores across India and forsee a cautious but aggressive expansions through company owned stores, primarily targeting metros and tier II cities. Speaking on this partnership, Nitin Chhabra, CEO, Ace Turtle said “Fashion retail in India is poised to grow significantly to $85 billion by 2022, The immense business opportunity in this segment has become instrumental in brands focusing on gearing up their omnichannel strategy. Splash Fashion, over the years have witnessed tremendous growth in India, having captured the fashion preference of Indian consumers. We are excited to partner with them and look forward to playing a significant role in scaling up Splash Fashion’s omnichannel offerings”. Ace Turtle, in the last few years have grown has a true market leader for enabling omnichannel enablement. With more than 50 enterprise fashion brands in its portfolio, Ace Turtle has developed a tech enabled platform that facilitates commerce across all online and offline sales channels.